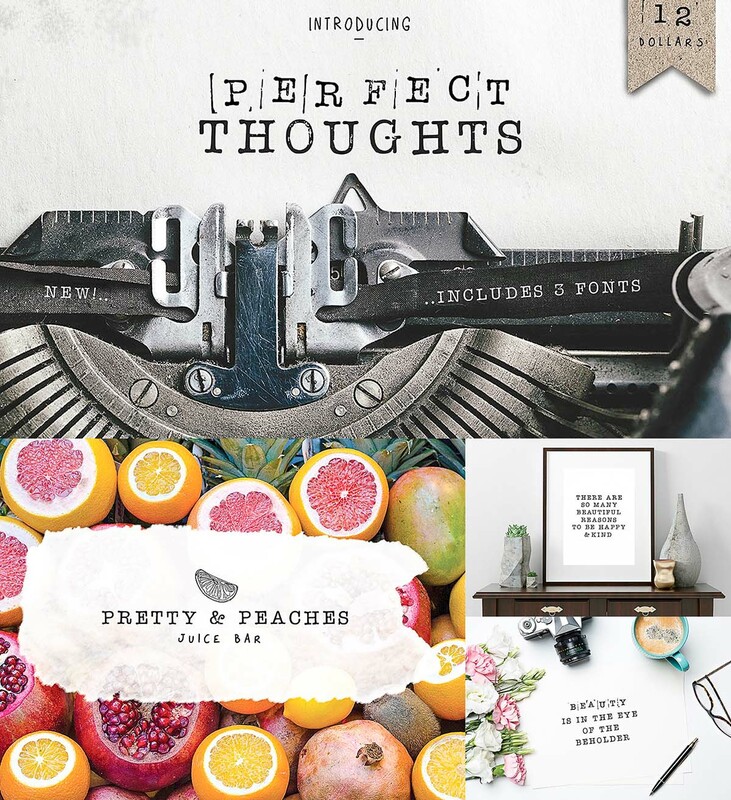 Introducing the Perfect Thoughts Typewriter Font. Perfect for handmade products, posters etc. Tags: display, retro font, stamp font, stamped, vintage font, wedding font.